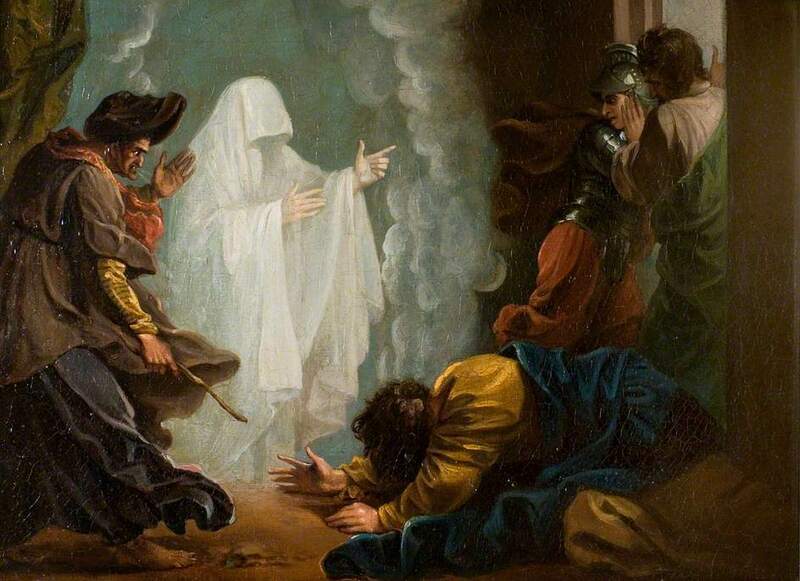 The encounter of King Saul with the witch of En Dor in 1 Samuel 28 is one of the most bizarre incidents in Saul’s life, and even more so, in all the Bible. Who was this woman? What kind of powers did she possess? Did this woman actually call Samuel up from the dead as Saul asked her to do, or did Samuel show up because God sent him, and if God sent him, why? Can the dead come back as spirits to communicate with the living? Are the spirits of humans wandering the earth? Are seances for real? Those questions are intriguing. The problem is the story does not answer those questions because the questions raised are not the purpose for this incident being included in the narrative of Saul’s life. This incident is not intended to be a lesson about life after death. You could spend all your time in this passage trying to answer those questions with in-depth studies that would lead to no absolute conclusions, maybe drawing conclusions that would misdirect you, and in the process cause you to miss the point. The overarching meta-narrative of the Saul and David stories is about a leader’s heart and God. David was a man after God’s own heart (explicitly stated in 1 Samuel 13:14 and Acts 13:22). In contrast, Saul was not a man after God’s heart (repeatedly illustrated throughout his life and set in deliberate contrast to David). Saul trembled greatly In 1 Samuel 28:5 because the Philistine army (his nemesis) came up against him. When he asked the Lord what he should do, the Lord did not answer him. No dream or vision, no answer through the Urim and Thumim (a means of inquiry God gave to the Old Testament priests), no prophetic word. The prophet Samuel was dead. When no answer came, Saul’s solution to the dilemma of discerning the future was to find a witch, someone who engaged in the practice of communicating with the dead. This practice was strictly forbidden by God’s law (Leviticus 19:31) and Saul had cleansed the land earlier of those who practiced it (1 Samuel 28:3). Now he’s a customer. These kinds of actions have been the habit of Saul’s leadership. In a prior encounter with the Philistines, Saul made a sacrifice he was not authorized to offer (1 Samuel 13:5-14). On another occasion the Lord commanded Saul to completely destroy the Amalekites, but Saul modified the plan (1 Samuel 15). Saul’s habit as a leader was to obey the Lord as long as it worked out the way he thought it should, and when it did not, he would choose another course. What is interesting about Saul is that he knew how to mix his religion into his leadership. He consulted with the prophet of the Lord, he made sacrifices to the Lord, and on another occasion when he went up against the Philistines he compelled his troops to fast for a victory over their enemies (1 Samuel 14:24). He knew the techniques of leading under God, but his heart was empty. So near the end of his life, Saul is found in En Dor consulting with a woman who leads seances and consults with spirits. Apparently he’d been fasting again (1 Sam. 28:20). Saul comes across as a leader who acted as if methods could get him what he wanted, but he learned that there is no magic in methods when it comes to leading under God. Success with God lies in the heart. Even godly methods don’t work if the leader’s heart is not right. The heart that is right is the heart that trusts. The heart that trusts is the heart that obeys. The heart that obeys yields actions that evidence true faith. Those actions may include sacrifices or fasts, but Saul jumped to the latter while ignoring the former. Leaders risk the same in this age that emphasizes perfecting technique in ministry: offering the glorious sacrifices of programming devoid of true heart surrender; cloaking themselves with spiritual practices without true heart surrender that yields a pseudo-spiritual leadership. There is no magic in methods because the power belongs to God. Sometimes he communicates and works in bizarre ways because he can. The point is not that we adopt that method, otherwise we should be having seances along with our prayer meetings in order to divine the future. In the end what God wants is the heart. He doesn’t want a leader’s creativity, hard work, skills, or well rationalized strategies. He wants the leader’s heart because if God gets the leader’s heart, he will have the leader’s creativity, hard work, skills, and rational abilities, but all of them surrendered to God. Saul never got that. David did. And so must every leader. This entry was posted in Uncategorized and tagged Leadership, Ministry, Pastoral Work. Bookmark the permalink.